These strange egg like objects are of course dockland floats. It looks as though it is some time since they were used and they look almost like pieces of abstract public art as they lie there between the marina and the docks. If they were eggs, I wonder what their mother would look like? 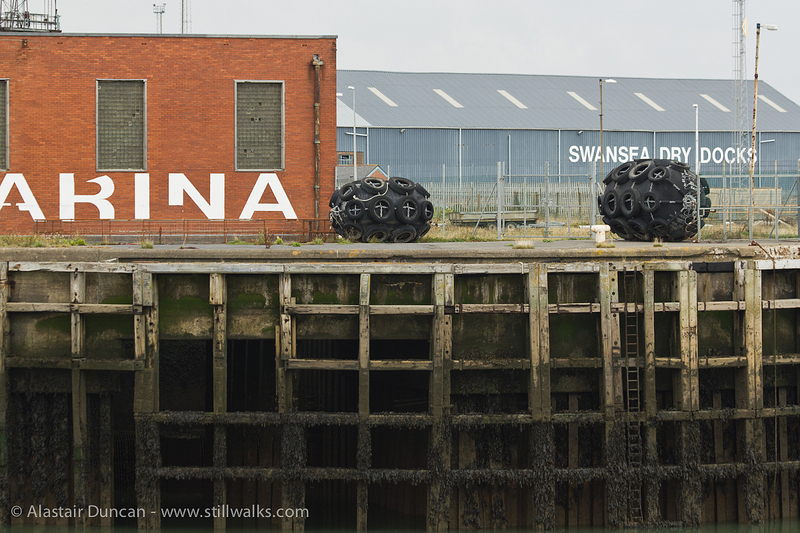 Posted in Architecture, art, Environment, Urban and tagged abstract, art, docks, floats, harbour, marina, photography, Swansea. These are popularly known as Yokohama Fenders’ in the industry. These are used as temporary fenders mostly and their purpose is to prevent the floating vessel’s hull from coming into contact with another vessel or structure.